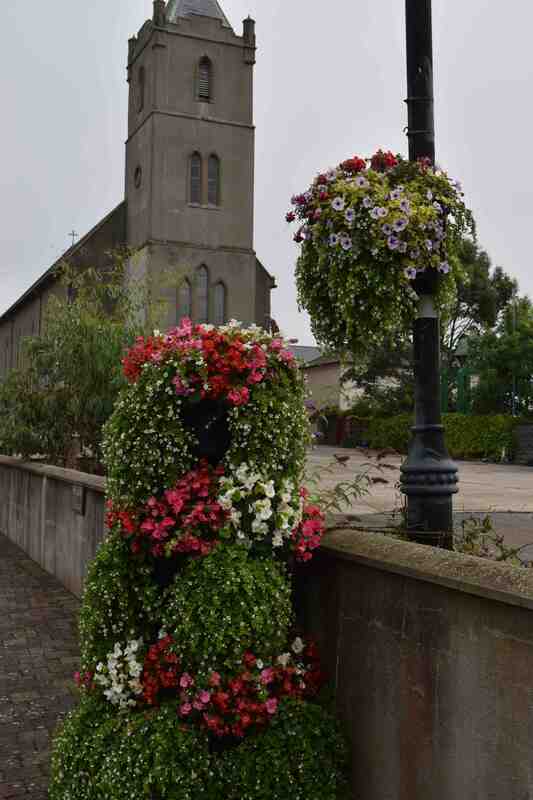 Just down the road is the village of Ballygarrett. 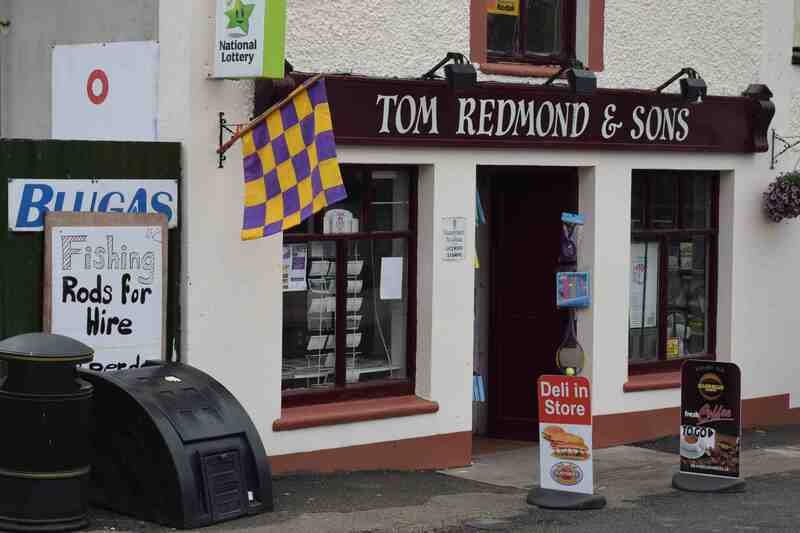 Although only a small village they really go to town with the community planting and it is a pretty place with a typically Irish-looking pub, still sporting some old signs. It seems odd that the village is twinned with Refugio in Texas but there is a reason. James Power, maybe Ballygarrett’s most famous son, was born here in 1788 (or 89). He moved to New Orleans in 1809 and later became a Mexican citizen in 1821, obtaining land and setting up a Mexican/Irish community on the Gulf Coast. 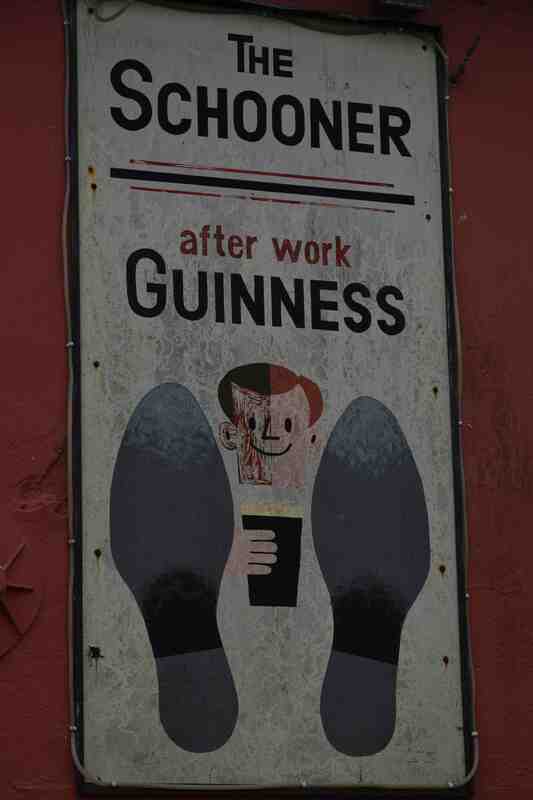 In 1833 he returned to Ireland to convince more settlers to follow him to Texas and 350 went with him. Unfortunately many died of cholera. Three years later he signed the Texas Declaration of Independence as the representative of Refugio. James Power married Delores de la Portilla and, when she died, married her sister and had seven children in all. 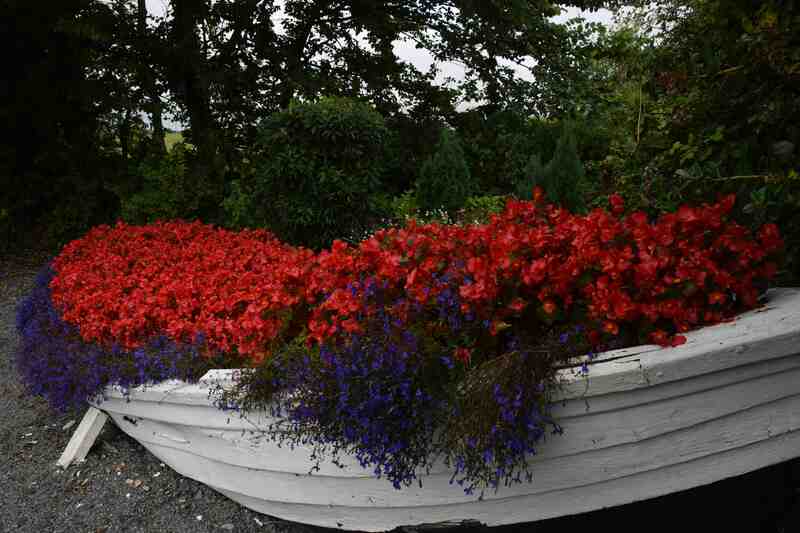 His house was made an historical landmark in 1936 and is, appropriately, named Ballygarrett House. 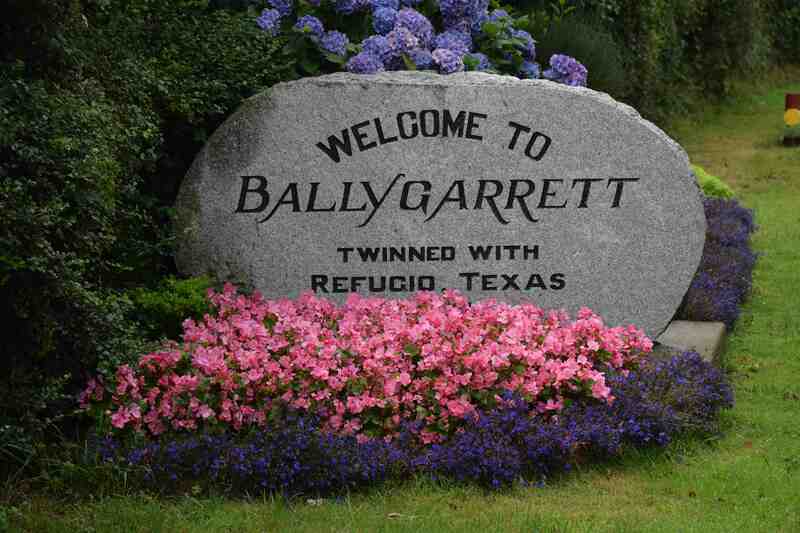 Ballygarrett has a population of 726, Refugio has a population of almost 3000. 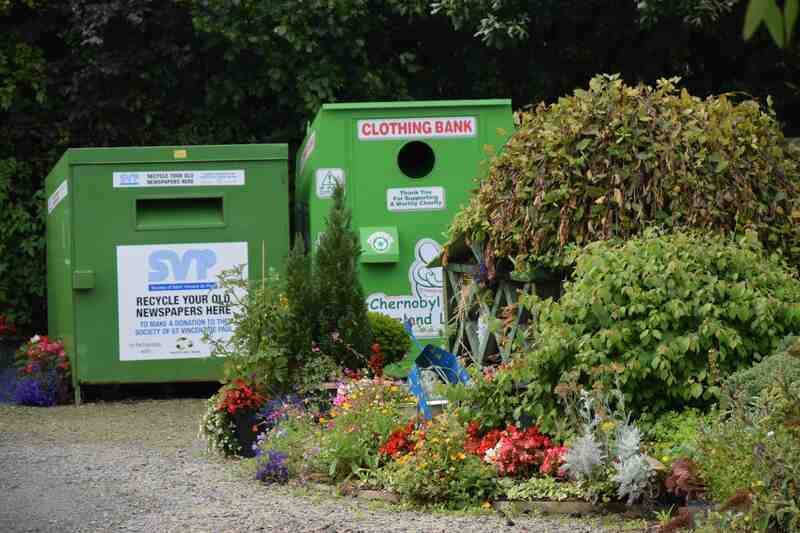 Even the recycling area is heavily planted. 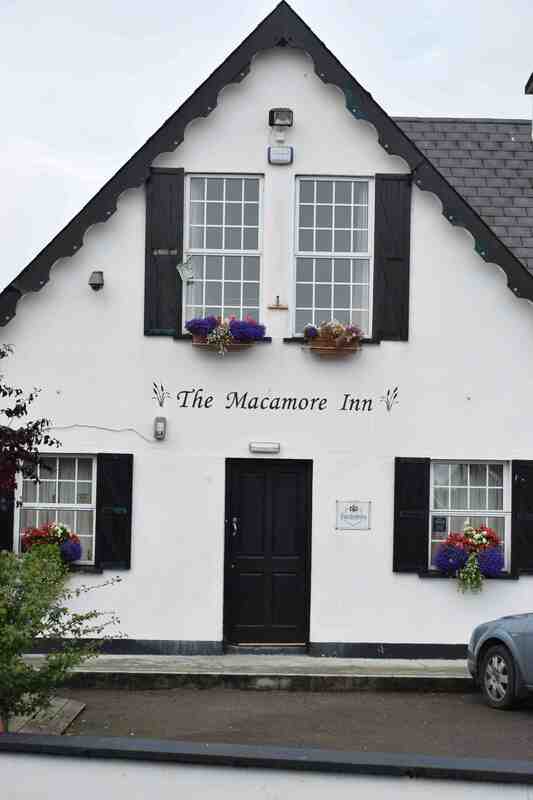 Macamore is the name used to describe the soil round here, famous for being better for making bricks than gardens. There is a brickworks down the road. The soil type is what I would mormally call marl or clay or heavy! 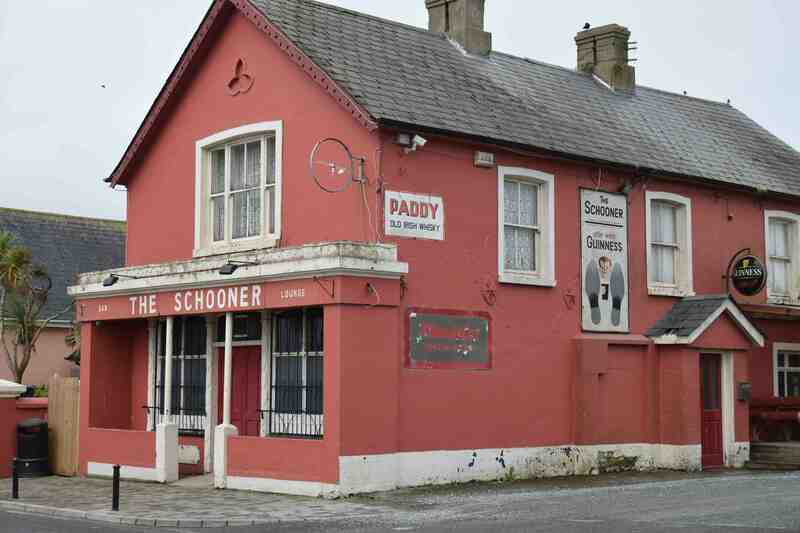 The Schooner is slightly famous for being featured in the recent film ‘The Sea’, which was filmed locally – inevitably it was a fight scene. It is based on the book by John Banville and most was shot in the local area and starred Sinead Cusack, Charlotte Rampling and Rufus Sewell. The Irish premiere was held at the nearby Gorey cinema and I was lucky enough to attend. I won’t review the film here but I will just say not to watch it if you are depressed. 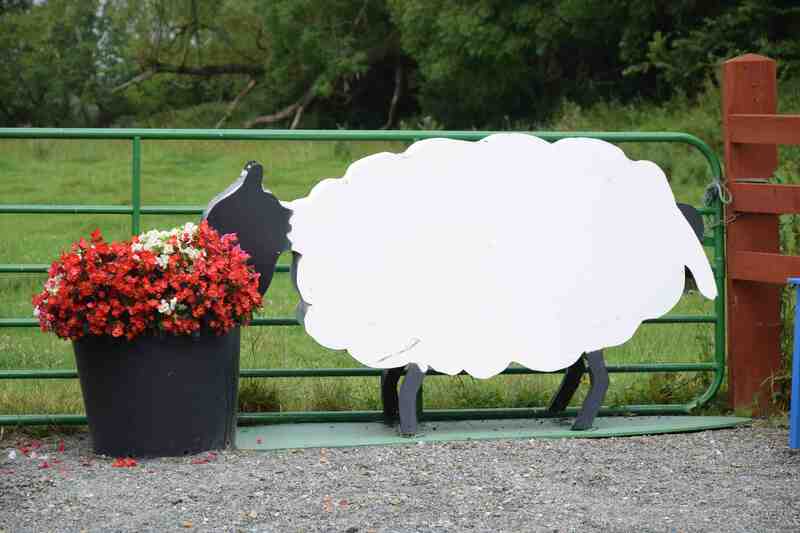 This would be funny if sheep hadn’t recently eaten 12 of my newly planted apple trees. 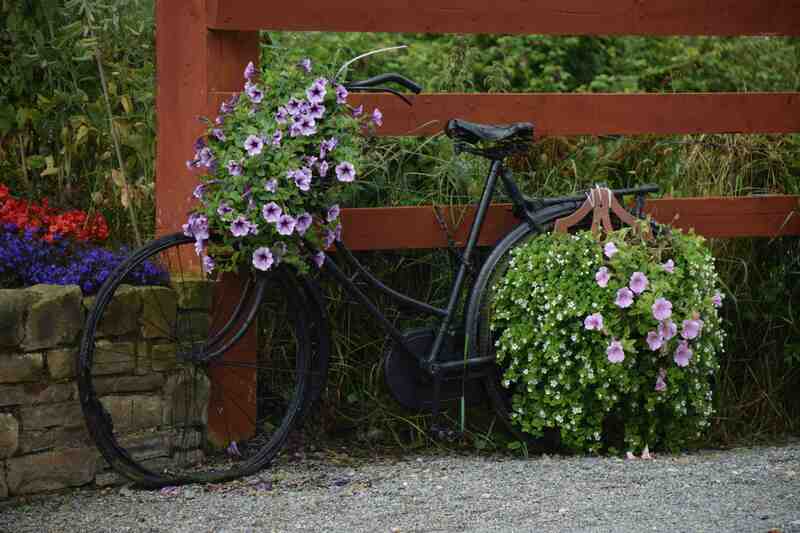 I am not sure if this is purely decorative or a safety feature or somewhere to park your bicycle! In case you are wondering, it’s 10euro for the rods. 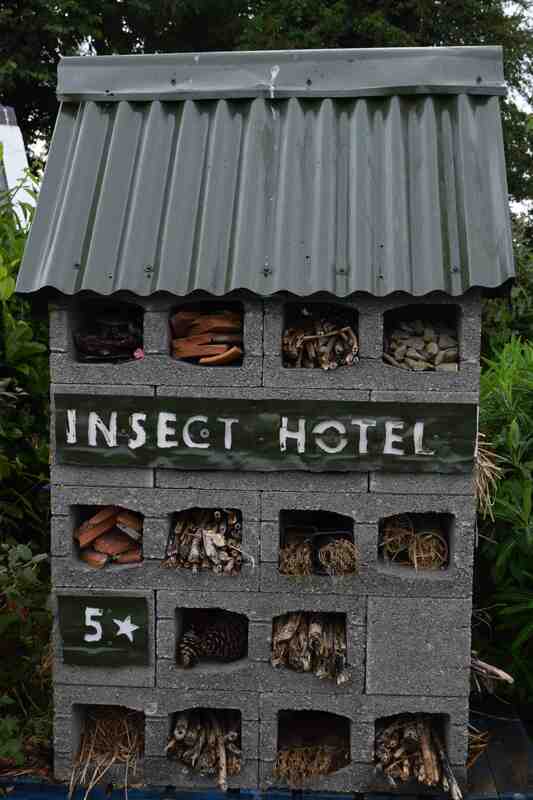 Near the cemetery is one of the smartest bug hotels I have ever seen: in fact it is 5 star! 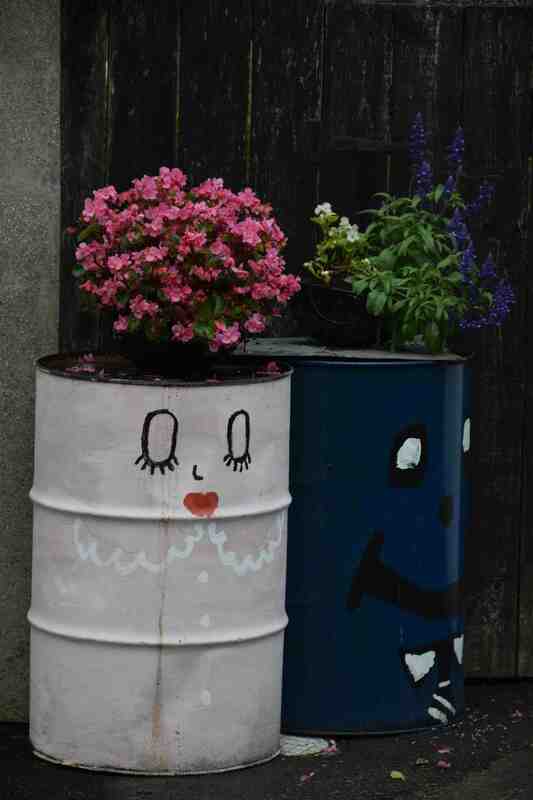 I have to say that it seems slightly superfluous in such a rural area but as a community project it is a great idea. What a lovely village! 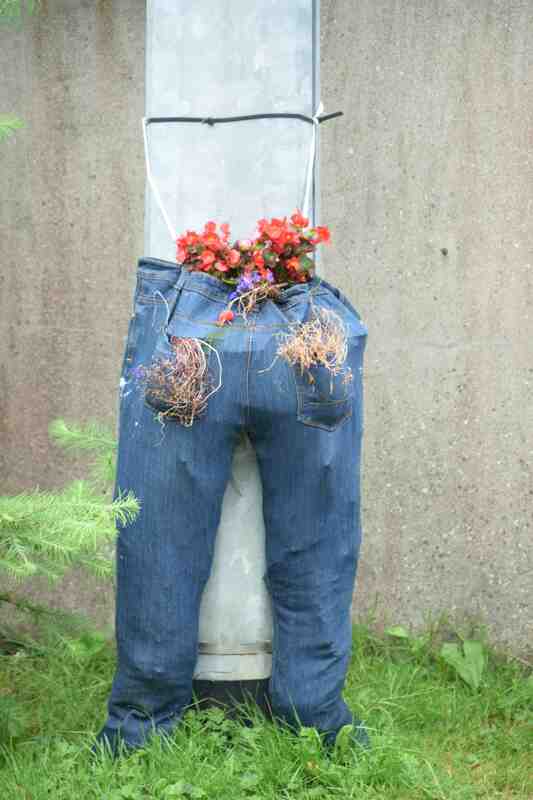 It’s clear the residents take a real pride in its appearance.